pH paper is used in dyeing to measure alkalinity or acidity. 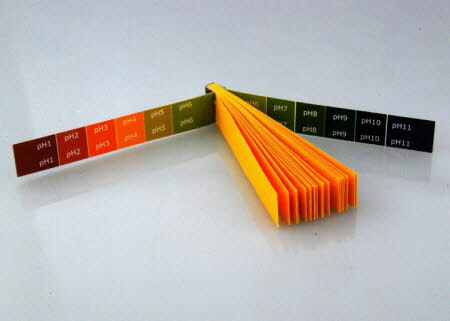 This is Universal pH paper (pH 1 to pH 11) supplied as a book of 20 strips; each strip is 1 cm wide by 6.5 cm long and is used once only. Each book has a colour comparison pH chart. The pH paper book is packed in a polythene bag, placed in a small padded envelope and posted to you First Class.